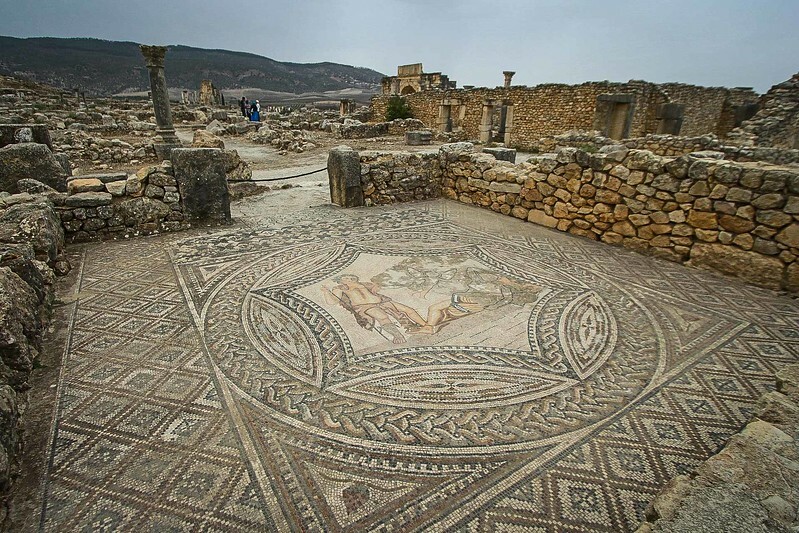 Situated in the centre of the agricultural breadbasket of Morroco, the ancient Romans established Volubilis as the farthest southwestern outpost in their vast empire. Through the ages, the structures held their place in time until an earthquake in the 1880’s caused the collapse of many buildings. Rock hunters came from far and wide to salvage most of the rubble. Today, these beautiful tile mosaics serve as the last remaining original works of artisans.